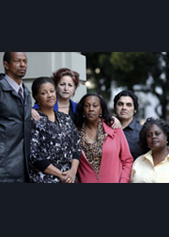 The Angela Alioto Law Group has successfully handled discrimination cases nationwide. 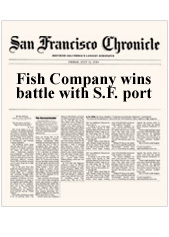 We have helped our clients win millions of dollars due to unfair treatment. 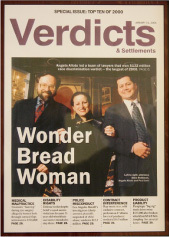 $132M Verdict against Wonder Bread Largest Discrimination Verdict in the nation. The Angela Alioto Law Group protects brave employees who stand up against injustices within their own companies. The Angela Alioto Law Group has a history of protecting businesses against unfair business practices, breaches of contract and real estate disputes. Disabled workers have the right to fair employment. Our attorneys have helped disabled workers’ who have faced unfair treatment, harassment and failure to accommodate situations at their workplace. 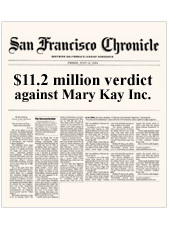 San Francisco Chronicle $11.2 Million jury verdict for disability discrimination of a cancer patient. LucasFilm fired a women after they discovered she was pregnant. 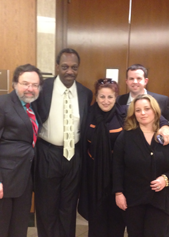 The Angela Alioto Law Group fought to protect her rights and won. "Courtesy Marin Independent Journal 7/4/2010"
Angela Alioto has been involved with protecting citizens from Discrimination and Homelessness. She is a champion for those who do not have the power to fight the odds they are up against. The Angela Alioto Law Group has been successful in winning over $300 Million in Jury Verdicts and Settlements for our clients, including the largest discrimination jury verdict in the country. 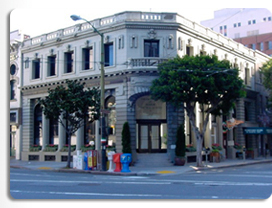 The Alioto family has a rich history in the city of San Francisco, including the election of Joseph L. Alioto as mayor in 1968. In the trial of Frank Allen v. Radioshack Corporation, Angela Alioto received a $1,030,000 verdict from the United States District Court. Frank Allen sued RadioShack for wrongfully terminating his employment. In the trial of Frank Allen v. Radioshack Corporation, Angela Alioto received a $1,030,000 verdict from the United States District Court. The Bayview District Lowe’s is in the spotlight, but not for its stellar deals or quality customer service. Six plaintiffs have filed suit against the big-box hardware store, claiming racial and gender discrimination, prejudice, differential treatment and unlawful termination. 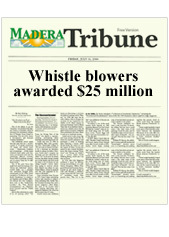 recovering over $300 million in jury verdicts and settlements. The Angela Alioto Law Group has helped many people who have been discriminated against in the workplace. Our firm provides legal advice and representation to employees across California who have been wrongfully terminated by their employer. We represent employees who have experienced retaliation after reporting workplace harassment or other violations. 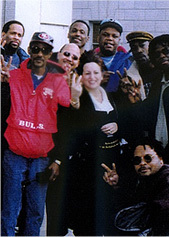 The Law Offices of Mayor Joseph L. Alioto and Angela Alioto P.L.C. is distinguished by its expertise and national recognition in Civil Rights and Employment Law. We successfully represent individuals in the areas of work-place discrimination based on race, age, disability, gender, religion and sexual orientation, as well as harassment, wage/hour, retaliatory discharge, and wrongful termination. We also represent individuals in personal injury, elder abuse, industrial accidents and toxic exposure. mission: to deliver justice for our clients. We pride ourselves in the good working relationships we develop with each of our clients. 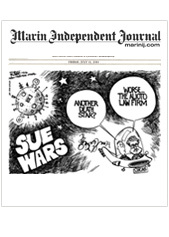 California and federal law regulate the way employers treat employees in the workplace. California employment law and federal law each provide employees with various legal rights. Our experienced lawyers can help employees determine whether they have a legal right to recovery when they believe their employer has treated them unfairly. Sexual Harassment describes an unwelcome sexual advance by an employer or supervisor that represents a threat to the employee’s employment or becomes a condition of continued employment. Additionally, such harassment can be classified as a “hostile work environment” when the presence of demeaning or sexual photographs, jokes, threats, or overall atmosphere is so pervasive as to create an intimidating and offensive work environment. If you need the services of a California employment law attorney, it is important to seek an attorney with experience and an excellent reputation. Contact the Law Offices of Mayor Joseph L. Alioto and Angela Alioto P.L.C. to discuss your employment law or discrimination law issue with a member of our team.